Need more information about booking Home 7330723 ? Small private villa in the south of Phuket just minutes from the beaches of Rawai and Nai Harn. 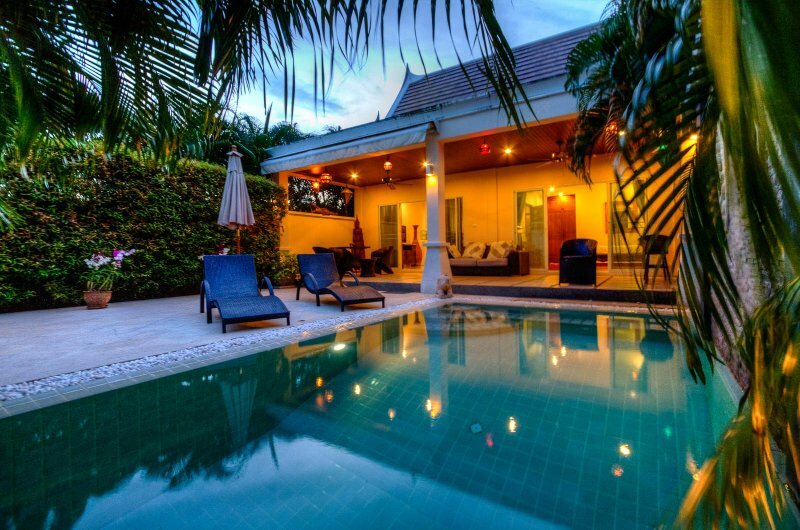 Very comfortable Thai villa for two, a large double bedroom, large living room, swimming pool with salt, integrated spa. The villa Meursault is modern, fully private, it can accommodate 2 people. It has a large double bedrooms with dressing room and work area, a bathroom with walk-in shower. A beautiful swimming pool with salt with its spa and outdoor shower area, deckchairs and garden furniture. The villa is secure, built on a wooded and flowery, no vis-à-vis, you will tighten quiet.